Introductory discount price includes free shipping worldwide: Ringbound: USD 44.90 Discbound: USD 54.90 FREE SHIPPING WORLDWIDE Diva is the first of the Discagenda series. She hits the stage with a big bang.. Beautifully foil printed today marker that can be used with both discbound and ringbound system. 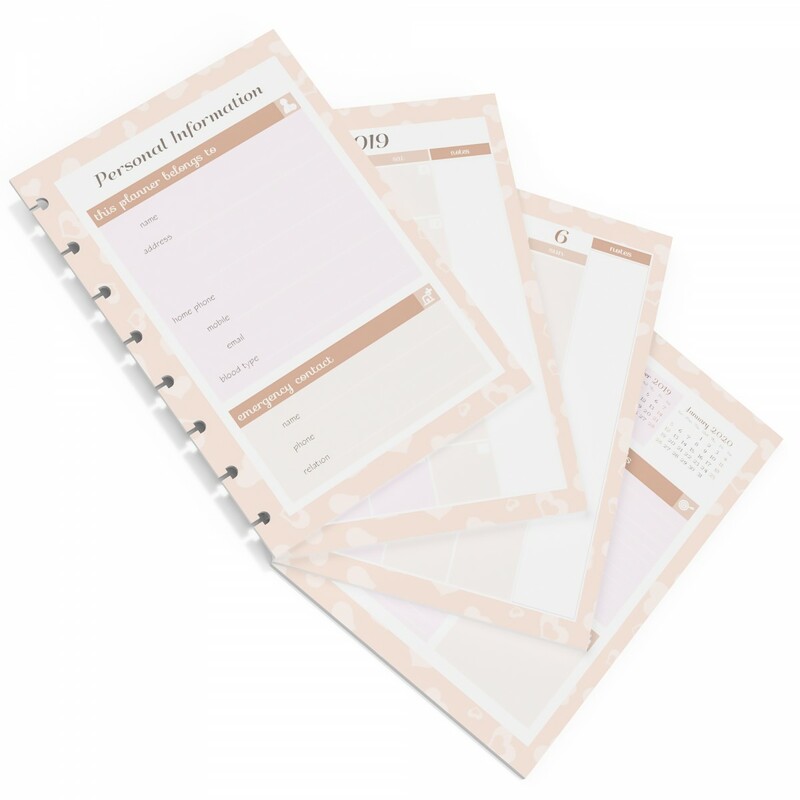 Features: Non-toxic PP material Foil printed Dual binding system compatibility Available in large or small (A5 or .. Introductory discount price includes free shipping worldwide: Ringbound: USD 49.90 Discbound: USD 59.90 FREE SHIPPING WORLDWIDE Diva is the first of the Discagenda series. She hits the stage with a big bang..
Discagenda Blossoms brings warmth to your heart. Featuring soft textured synthetic leather, it has Blossoms printed in gold or rosegold.Now available with permanent ringbound system! Dimension : Large (A5) Width: 190..
Discagenda Constellations is the successor to Dokibook Midnight. Featuring soft textured synthetic leather, it has little stars printed in gold.Now available with permanent ringbound system! 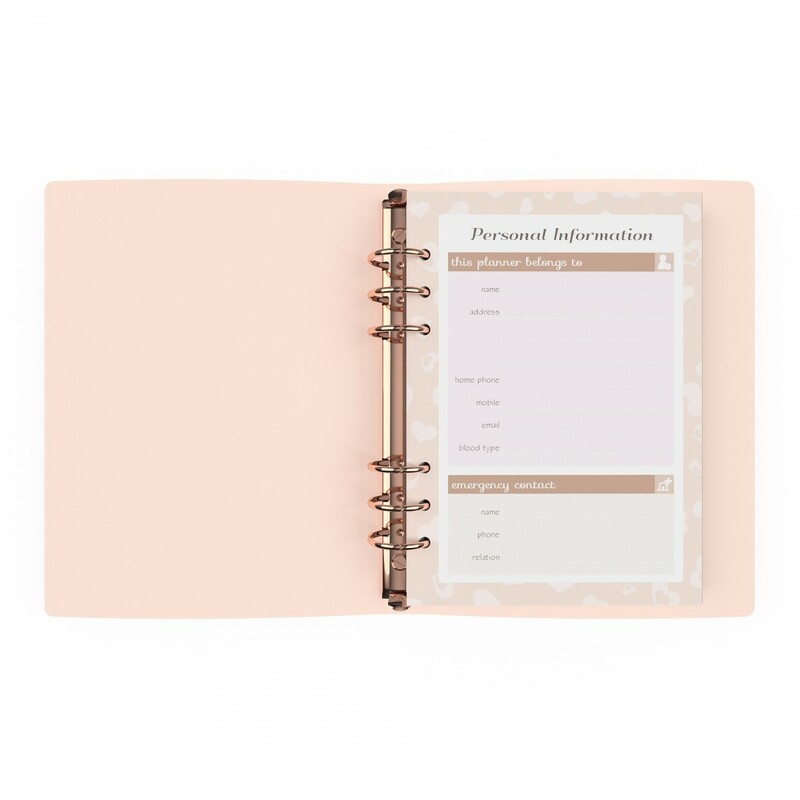 Dimension : Small (Persona..
You have been yearning for a rose gold 6 ring binder planner forever! We heard you! Here it comes :-)Discagenda Diva ringbound is crafted with the same high standard of quality and workmanship as Discagenda Diva. If you ..
Discagenda Constellations is the successor to Dokibook Midnight. Featuring soft textured synthetic leather, it has little stars printed in gold.Now available with permanent ringbound system! 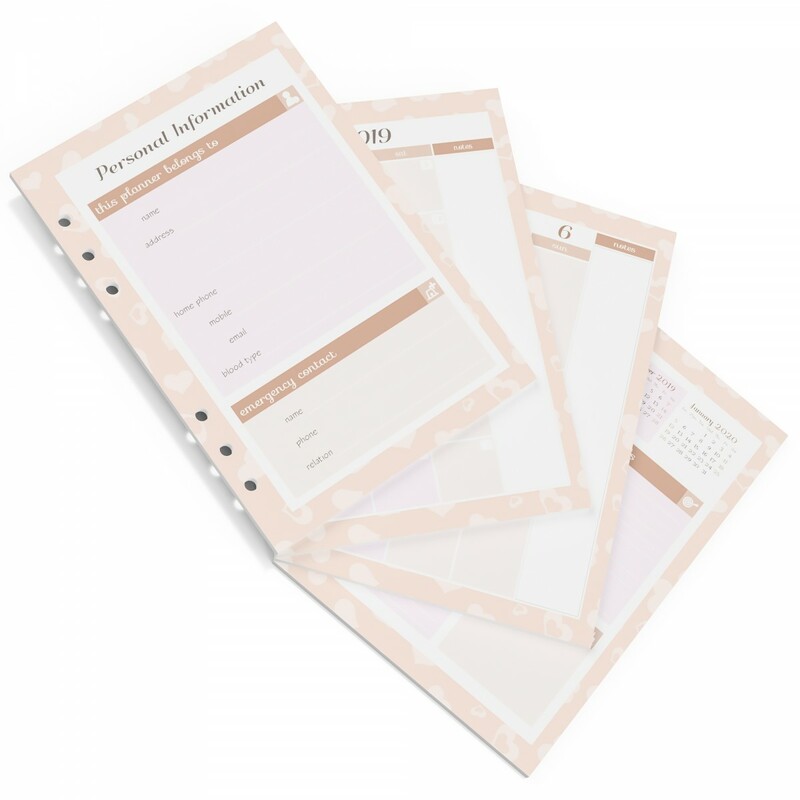 Dimension : Large (A5) Wi..
Plan your days, weeks, months and years with Discagenda Turquoise. Featuring top quality materials and workmanship, this planner fits right in your handbag without unnecessary extra weight. 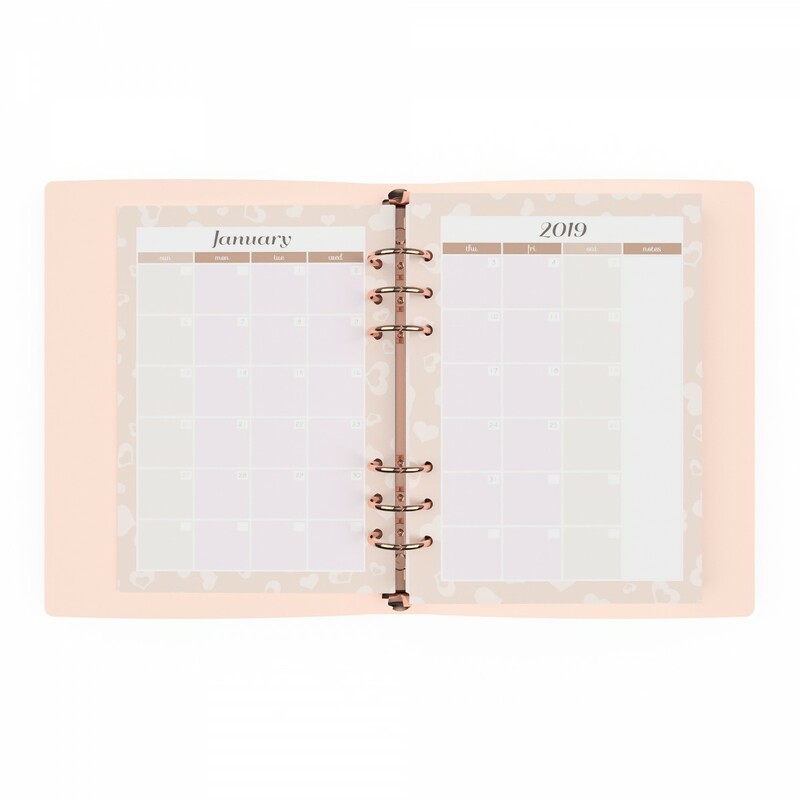 While smart phones are g..
You have been yearning for a rose gold 6 ring binder planner forever! We heard you! Here it comes :-)Dokibook Rosegold is crafted with the same high standard of quality and workmanship as Discagenda Diva. If you don'..